Last month, May 2018, saw the biggest change in privacy law in 20 years in Europe. It was handled badly with many companies not knowing what to do, fearmongering, and a new raft of experts who all have different ideas on what companies should be doing. Many companies just ditched their client lists that they had built up over years. I subscribe to a program with a top social media expert and pay monthly for the latest information and strategies. When I logged in last week I no longer had access to the information. Your membership was automatically cancelled as we unfortunately can no longer allow EU citizens to use our online programs. Although we are GDPR compliant and fully support the intention of the law, it was implemented so poorly that one practical joker could report a US-based small business based on zero actual facts, and that business would have to hire an EU based attorney to defend the claim. It’s just not worth the hassle. I have canceled any recurring subscriptions so you will no longer be billed. How crazy is it that something like that could happen and that companies would walk away from existing business because of the new laws. Soon Australia and China will be following with similar laws and I think many more countries after that. The biggest losers are the online advertisers who for years have been collecting data about their users and even selling this data to other companies. I predict that GDPR is not going to be the end of programmatic advertising. The online advertising industry will find new ways to target users while continuing to increase effectiveness. It has also affected list brokers and many other companies selling data. From my own company where I help businesses to increase sales, I have had so many customers calling and asking what to do and how they could now find other ways of prospecting and finding new clients. 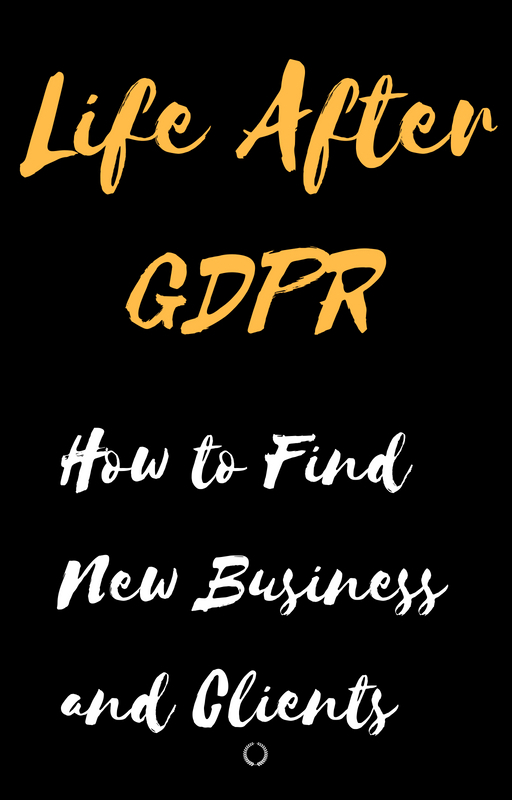 For years now there has been a wonderful tool that I have been using to connect with and attract new business, and I don’t need to be concerned that it will be breaking the GDPR laws. It is a useful piece of technology called LinkedIn. I have been using LinkedIn for years to discover and connect with new clients. 1 – Optimize your LinkedIn profile for clients and for Google. By getting the right key phrases spread throughout your profile, it will be picked up by both. Please do a Google search for ‘Sales Technology Speaker’ and you will see that I dominate the first page of Google for that search term, but what you will also see is that the key phrase has been picked up from my LinkedIn profile. 2 – By optimizing your profile, you will also be ranked and found in LinkedIn searches. 3 – Don’t write your profile in the third person, but in the first. Anything you do on social media whether it be a blog, video or writing your profile must be written as if you were sitting opposite the person and speaking to them. 5 – ‘Pull’ marketing is where you will search for, connect with and share your content with targeted prospects. 6 – Identify the industries as well as the positions or titles of your target prospects and make at least 20 searches and personalised invitations daily. 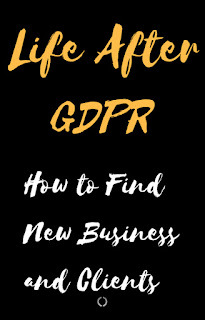 You are not falling foul of GDPR if they accept your connection and you can now start a conversation (please don’t try to sell to them at this stage) and when they feel that they like and trust you and see value in your content, they will become clients. 9 – Check on who has looked at your profile and follow up with personalised messages, they could be potential prospects. I realise that this is a bit of a grind to do daily, so I have set up an offshore team that does this for my business and they also post three pieces of content to every social media channel. This has resulted in about five new enquiries and two new sales weekly.